Bring YAYA to Your School! Alumni of the YAYA Guild have been teaching art workshops in schools and at community events through YAYA’s Urban Heroes program since 2003. YAYA's Urban Heroes program is an arts enrichment program that offers in-school and after school, community events, Art Day field trips, and summer programs. 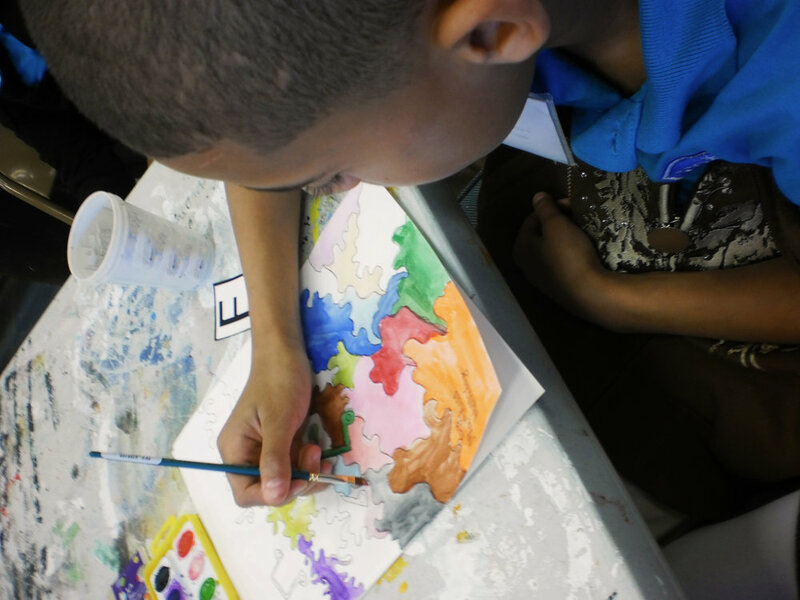 Our workshops are rooted in Louisiana Standards for Arts Education, and focus on areas such as creative expression, aesthetic perception, visualization, team work and critical thinking. YAYA’s customized in-school and after-school Urban Heroes workshops have provided arts enrichment programming for over 28 different schools in Orleans and Jefferson Parishes with professional development for our artists and leaders-in-training. C.F. Rowley, KIPP Central City, KIPP Leadership Academy, Renew Therapeutic Program, New Orleans Therapeutic program, Samuel J. Green Charter School, New Orleans Science and Math Charter, Crescent Leadership Academy, Joseph S. Clark Preparatory High School, Warren Easton High School, Arthur Ashé Charter School, Chalmette High School, International School of Louisiana–Jefferson, International School of Louisiana–Orleans, and ReNEW Cultural Arts Academy. Schedule an Urban Heroes workshop series or beautification project at your school! Contact Senior Director of Programs Timeka Junius for details on specific curricula and scheduling: timeka@yayainc.org or 504.529.3306. If you are YAYA Alumni interested in becoming an Urban Heroes Teaching Artist, contact Studio Coordinator Némesis Zambrano at nemesis@yayainc.org.